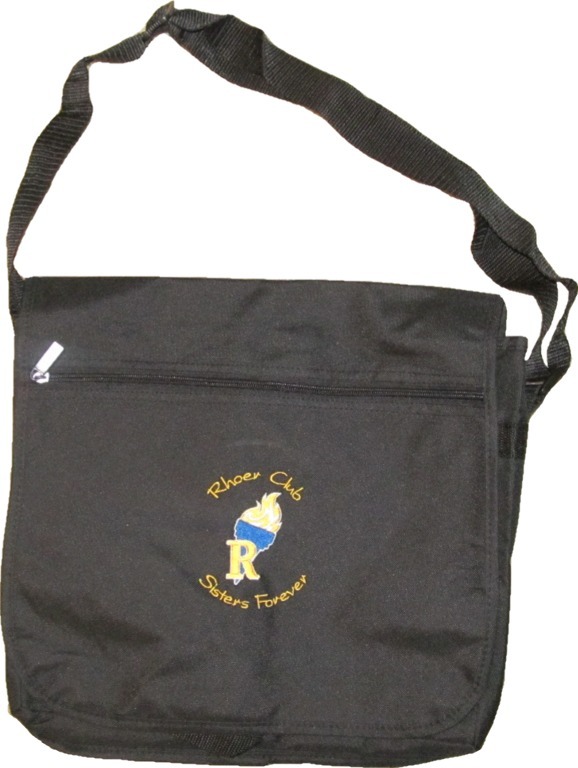 A sophisticated way to carry your books and papers AND represent the blue and gold! Each bag features an adjustable strap, a zippered close, and embroidered Rhoer logo. Bags measure 14" wide, 12" tall, and 4" deep.